A principal dancer at the New York City Ballet reviews Black Swan and Nataalie Portman's stunning performance—and says the movie captures the head trips that every great dancer faces. A principal dancer at the New York City Ballet reviews Black Swan and Natalie Portman's stunning performance—and says the movie captures the head trips that every great dancer faces. For the past 20 years, I have been a ballerina with the New York City Ballet, and I was asked to offer my thoughts on the new Darren Aronofsky film, Black Swan. I first heard about the idea for this new ballet film some years ago when Aronofsky contacted me for his research. Some time later, as I began to get wind that it would be based on Swan Lake (not my favorite ballet), my hopes weren't high, but I became enticed again when I heard it would be a psychological thriller. Since that first phone call, the presence of this film in the background of my life has continued to grow as a great many friends and colleagues became involved in the production. Natalie Portman is fantastic as Nina, a corps dancer struggling to rise to the challenge of dancing the principal role of the Swan Queen. The actress poured herself into serious ballet training to be able to embody the look of a professional dancer and she did a magnificent job of it. No real dancer I can imagine could have portrayed the depth of emotion this role required, it needed a great actress. But without the degree of devotion and discipline that she applied to the dance, Black Swan would never have achieved the heights that it does. In his film, Aronofsky layers Nina's challenge to break free from her childlike, sheltered world with a parallel story that exists within the ballet itself. Black Swan explores the grueling physical and mental anguish of an aspiring ballerina as she faces the challenges of dancing the most famous dual role in all of ballet, that of Odette/Odile (the swan queen and her evil black twin). While the White Swan comes easily to Nina, the dark mysteries of the Black Swan evade her. This is paralleled in her own life as she struggles to hold her own against a mother (Barbara Hershey) who would keep her a perpetual child, a sexually aggressive boss (Vincent Cassel), and a rival dancer (Mila Kunis) who embodies the sensuality/sexuality, abandonment/freedom, self-confidence and strength that Nina must grasp in order to fully portray Odile, the Black Swan. All of this points to the larger issue of the true self-possession that any artist needs in order to be great and fully realized. As a ballerina, to embody the duality of the Swan Queen and the black swan can be a fiendishly difficult task. It's a role that requires the true balance of opposition in a dancer; both technical command and poetic lyricism need to be cultivated. It requires a full spectrum of artistry. I have played the dual roles and understand firsthand the intense physical drain and the nervous energy that gets stirred up in both body and mind while preparing for it. When the body gets exhausted the mind can become fragile. It requires a particular strength and confidence in one's emotional core unlike anything else in classical ballet. As Nina engages in these intense (and intensely linked) personal, professional, and artistic struggles, she begins to hallucinate and become obsessive and paranoid. At one level, one could look at this film as a portrayal of the beginnings of full-blown neurosis and mental illness. But this would, of course, miss the larger truth that dancers learn to take on these subtle head-trips every day. Going to those depths is a unique part of our job as performing artists. Sometimes these head-trips are empowering at other times, terrifying and debilitating, but there is no question that they are part of the game, part of our art, and those that cannot learn to live with them, and work with their power, will be weeded out weaker artists. Dancers learn to take on these subtle head-trips every day. Going to those depths is a unique part of our job as performing artists. So many images from my career flashed through my head while watching this film. Near the end, seeing the shards of a broken mirror on screen, each shard seemed to reflect a tiny glimpse from the film into my life as a ballerina. Watching Nina steal the makeup of the company's fading prima ballerina (Winona Ryder), I was reminded of the times when I would steal a spritz of Chanel No. 5 from my favorite ballerina's perfume bottle when no one was around. I remember my own premiere as the Swan Queen and the fact that because of an extreme case of nerves, I couldn't complete my warmup. My legs literally froze, and I was forced to sit until I made my first entrance. Incidentally, that debut ended up being one of the most magical and pivotal performances of my career. No performance is a perfect performance but some performances allow for the feeling of perfection. Achieving this moment of ecstasy easily validates all the pain and struggle of the art form by taking us (and possibly our audience) for a moment to a world beyond our own. 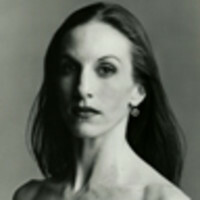 At age 3, Wendy Whelan began taking dance classes in her hometown of Louisville, Kentucky. She went on to train at the School of American Ballet, the official institute of the New York City Ballet, and eventually worked her way up the ranks, from the corps de ballet to principal dancer. Whelan has been featured in many ballets, including The Nutcracker and Swan Lake , and has toured extensively throughout the world. In 2007, she also received a Dance Magazine Award.